Warning, I might sound a little mushy in this post, but at least there won’t be any spoilers. I say mushy because Robert Jordan’s Wheel of Time series is by far my favorite fantasy series that I have had the pleasure to read. Every year for over twenty years I have been eagerly awaiting the next book to come out. Yesterday I finished the last chapter in the last book of a series that will go down as one of the greatest in the genre. I was a sophomore in high school when I first discovered book one The Eye of the World. At that stage in my reading career fantasy was still new to me. Oh I had sampled the Dragon Lance Chronicles and ripped through a couple series by David Eddings, but most of the books I found in the fantasy section of the book store read like poor reflections of Lord of the Rings or were just a little too hokey for me. Then I came across The Eye of the World. The book store was in the tiny mall in Bismarck North Dakota. Yes I went to High School just outside of Bismarck. A private boarding school of all things, and we got to go to town every other Wednesday. Back then I pretty much sailed through a book between town nights so my first stop was almost always the Walden Books book store in the mall. I’d scoped out The Eye of the World a few times, but there had always been another book on my list. I dug the cover and finally decided to give it a whirl. Barley a chapter in I realized this book was something different. This was something I had been searching for, and this novel began a series that drowned out anything I had read up to that point. In my opinion it remains unmatched as far as world building and only George R.R. Martin’s Game of Thrones series has come close. One of the best highlights of Jordan’s epic work was the way he used “magic” in his story. For some reason spell casting mages and sorcerers in flowing robes have always annoyed me. Jordan’s creation had none of that and even though the story centers around the use of a “magic” system called the one power with a male and female half, it is unique and not once did it annoy me. Another big plus for was how real the combat and violence felt. One has only to look at Jordan’s two tours in Vietnam where he was awarded a number of medals for bravery to find the source of this realism. In every violent confrontation I could feel every blow, taste the blood, and smell the sweat and fear. Jordan’s books were so real to me that for the first time I experienced reading without reading if that makes any sense at all. I would get so caught up in the story that the words became invisible and the story played out in my head like a movie. Every one of the books in this series, even the one or two that are criticized as being too slow, created this effect. Jordan fans feared the worst when he passed away in 2007. Fortunately for us he prepared for the day that he would be unable to carry on and finish his work. I don’t know how much if any say he had in choosing Brandon Sanderson to finish the books, but he did leave copious notes, large portions of written scenes, and a detailed synopsis of how the series should end for Sanderson to use as he wrote the final books. And what a finish it was. I was a little worried about the last three books that Sanderson wrote, but it turned out to be a needless one. Straight from the prologue I was thrown into action that rarely slowed right up to the last chapter of the last book. 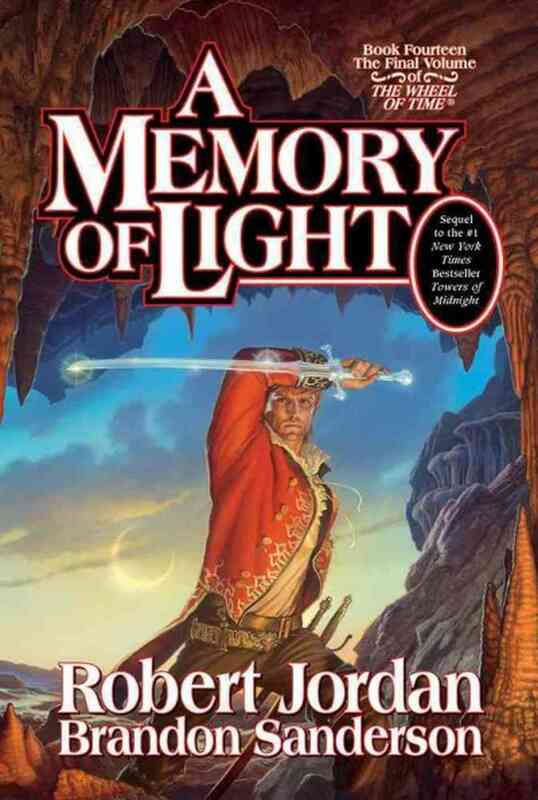 A Memory of Light is one of the fastest paced books in the series and most of it is dominated by combat. There were also some scenes that are very emotional for true fans of the series. I will not give away anything, but Jordan’s characters, even the secondary ones, are like family to me and some scenes brought the hint of tears to my eyes. It may sound cheesy, but The Wheel of Time has probably influenced me more as a reader, and definitely as a writer who dabbles in fantasy more and more these days, than any other series of books I have ever read. As a writer one of my goals is to someday connect with readers in the same way that Jordan did with me. It will be a life long journey, and I know I may never reach that goal. But in the end, I think just striving for it is a worthwhile way to spend a writing career. Thank you for reading my somewhat overly found thoughts on the Robert Jordan series. Thanks to Brandon Sanderson for taking on the job of finishing the story for all of us, and the greatest thanks to Robert Jordan himself for giving us such an amazing story. I salute you sir. May you always find water and shade. This entry was posted on March 9, 2013 at 2:54 pm and is filed under Uncategorized. You can follow any responses to this entry through the RSS 2.0 feed. You can leave a response, or trackback from your own site.